I am sure by now you have heard this term a few times and may even be getting fed up with how much exposure it is receiving and what does it mean anyway? 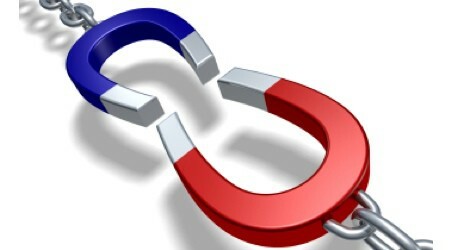 In simpler terms: law of attraction means: like attracts like. Behavior breeds behavior, so when you appear optimistic you will attract others of the same towards you or if you are pessimistic you will keep bringing negative people into your circle. 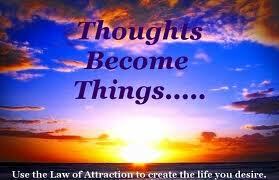 The Law of Attraction helps you learn how to receive & believe you can change your life to attract what you want. It doesn’t just have to be a dream! For example: If you are really unhappy in your current job it may be time to seriously consider leaving it. Your quality of life is more important than staying somewhere that you have outgrown and you are only there because it is easy and safe. Pursuing your life passion should become your focus so that you don’t waste anymore time doing something that is making you very unhappy. Think about it; If you are constantly putting yourself in a negative environment, how can you possibly be sending out good thoughts? You just get more of the same repetitive negativity coming back on a daily basis. Putting yourself in a happy place demolishes the demons that keep harboring your regular thoughts. Just try to be miserable when you are happy! Don’t look at it as a dream; actually visualize your new path. It is easier to achieve something when you can see it clearly. Most people are fearful of change especially in their later years. Fear is the biggest obstacle in the average person’s achievements. Inviting change keeps a person young and removes complacency. Many individuals do not know how to be alone. They are not comfortable in their own skin. They go from one relationship to the next without any time between the two. In fact many people already have a new relationship lined up before they end the first one. How can you possibly find a new partner when you are still emotionally connected with someone else? Of course it is scary with the thought of being alone again but it is still better to take your time after a breakup than to pull someone into your broken heart. Pursuing your passion is always the right path. Listen to your intuition, it is never wrong. If you keep attracting the wrong people into your life, it is happening because of the images you are seeing in your mind. Ask yourself honestly what type of relationship you truly want. Are you looking for love or friendship? How well do you communicate? What does your body language say to others? What do you think of yourself? By changing your thoughts you can change your life. Contrary to what many people think attraction may mean, it is not necessarily always a good thing. Being “attracted or having something or someone attracted to you” can be also be a negative if not used correctly. It is what your thoughts project that comes back into your life. The energy or vibration that you put out is exactly what the Universe gives back. If you keep meeting abusive people, you are sending out something that is allowing this pattern to happen. Do not ignore these signs as it may be time to talk to a therapist about this reoccurring scenario. 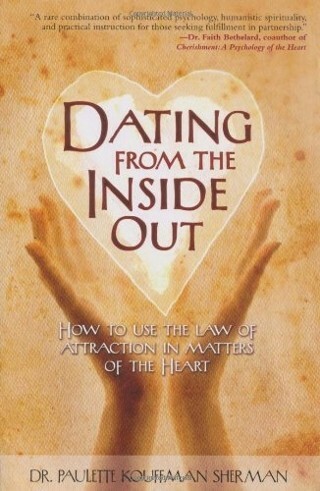 On the other side of the coin, learning how to use this “attraction technique” to bring loving people into your life is what this discussion is all about! The more you practice it, more of the same great things will appear on your path. Don’t believe me? Look back at your relationships over the years; is there a pattern? When you say negative comments like:”I never meet anyone”, or “everyone is taken”, “who would want me”, that is what you are projecting! Try saying; I am going to meet a wonderful partner and believe I deserve a great relationship. That is what you will achieve if you say it with conviction. Letting those negative thoughts creep in continually will slow the process down immensely. Send out powerful thoughts on what you really want to receive. Try it for a month and be aware of the positive changes that occur in your life. (I met my husband using this method!) There are many articles on this subject and some have been over publicized, but there are some great messages that should not be ignored. Make a list of what you want and what you are grateful for in your life. Read it back on a regular basis and say it out loud. People that believe they can have it all are successful because they believed. For all of you non believers, it might be time to open yourself up to trying a new approach to life. It can’t hurt and who knows, you may actually become a better person and enjoy your own company which will project onto others. New doors will open and life will only get better. 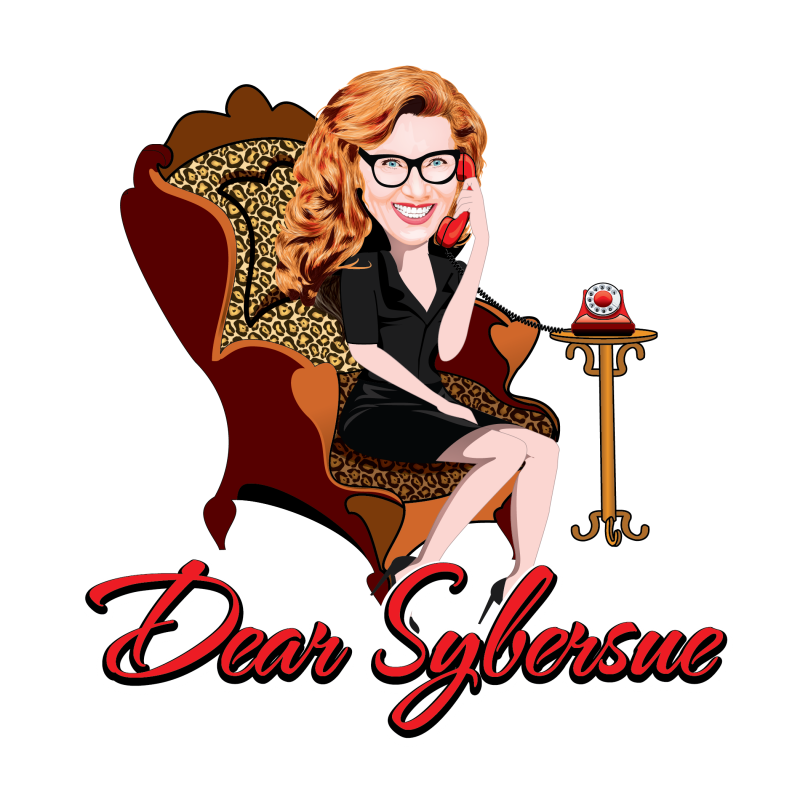 Previous Post: Advice for Men & Women: First Impressions Make or Break that Second Date!